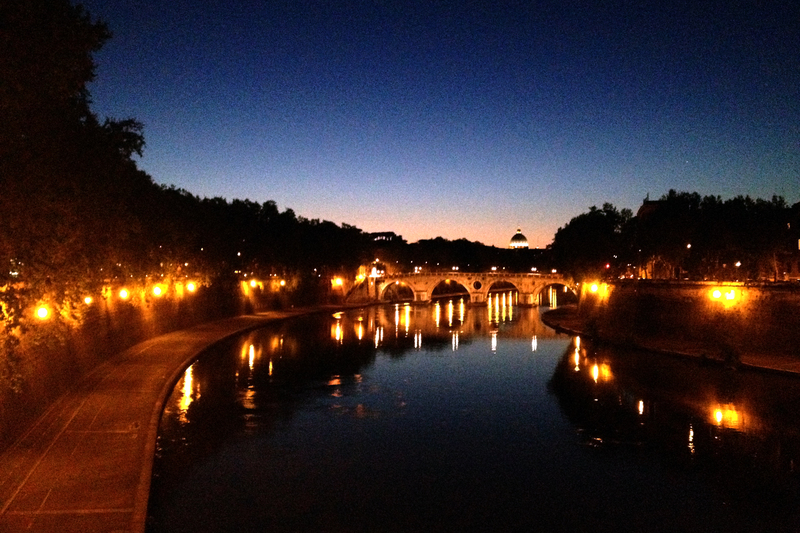 Ponte Garibaldi, View to St. Peter’s, Photo by Author. Every day, I cross Ponte Garibaldi to go to studio. The bridge itself is nothing special, but the view is nothing short of spectacular. On the right is Isola Tiburina, a scenic island hospital that has been a center of healing since antiquity. 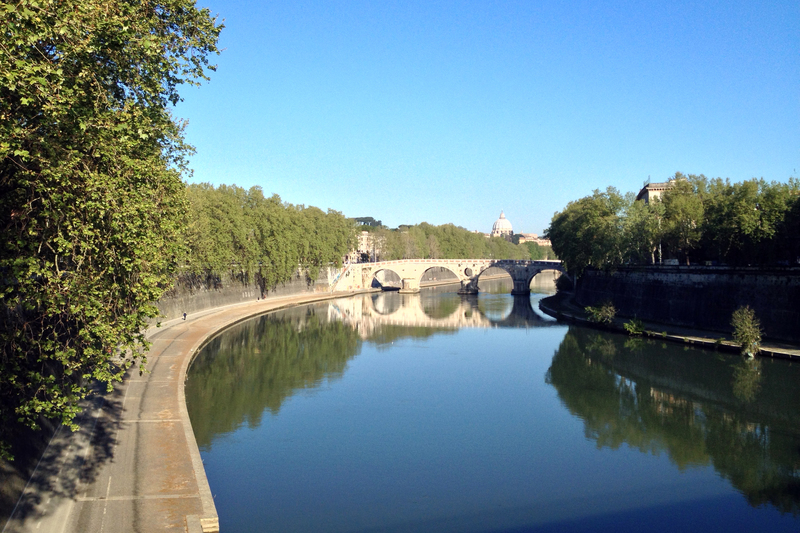 To the left, the dome of St. Peter’s stands in the distance, a blue signpost hovering over the tree-lined river banks. At different times of the day, the vista becomes animated. 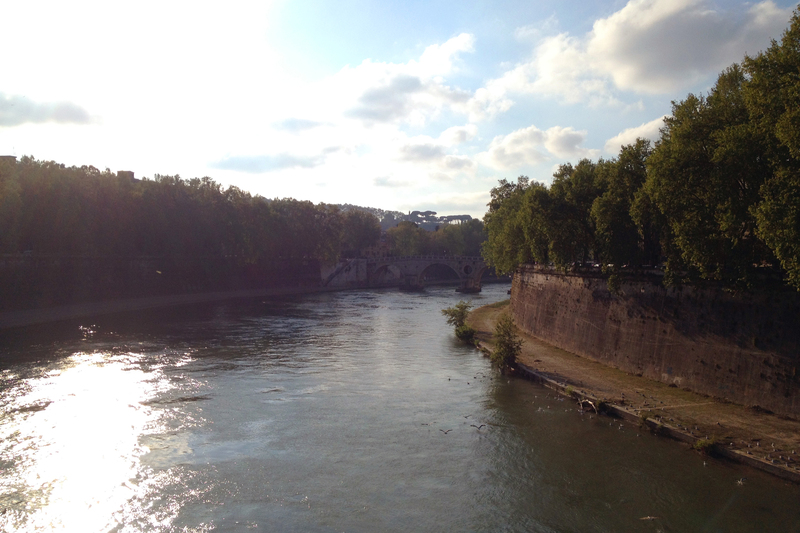 Early morning, the Tiber is calm, and verdant spring trees sway and breathe in the air. Late afternoon, the water sparkles, and flocks of seagulls swirl above the blinding ripples. At night, St. Peter’s becomes an illuminated orb, and decorated streetlamps cast golden shadows along the embankments. The view is, in every sense, a movable feast. But the bridge is also significant in another way. As most Cornell in Rome apartments are in Trastevere, and the studios are located in Centro Storico, the bridge becomes—dare I use the architectural cliché—a “threshold” between life and work, or work and play. Walk one direction, and I find Bar Callisto. Janiculum Park. Apertivo. Walk the other, and I am confronted by tourists. Chipboard. Professors Jim and Lily (Note to Jim and Lily: You guys are are awesome, chill people, it’s just studio). Thurston and Suspension Bridge, Photo by Google Images. 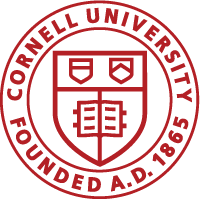 This “threshold” condition actually reminds me a lot of Cornell campus, and the walk from North Campus to Milstein/Rand. 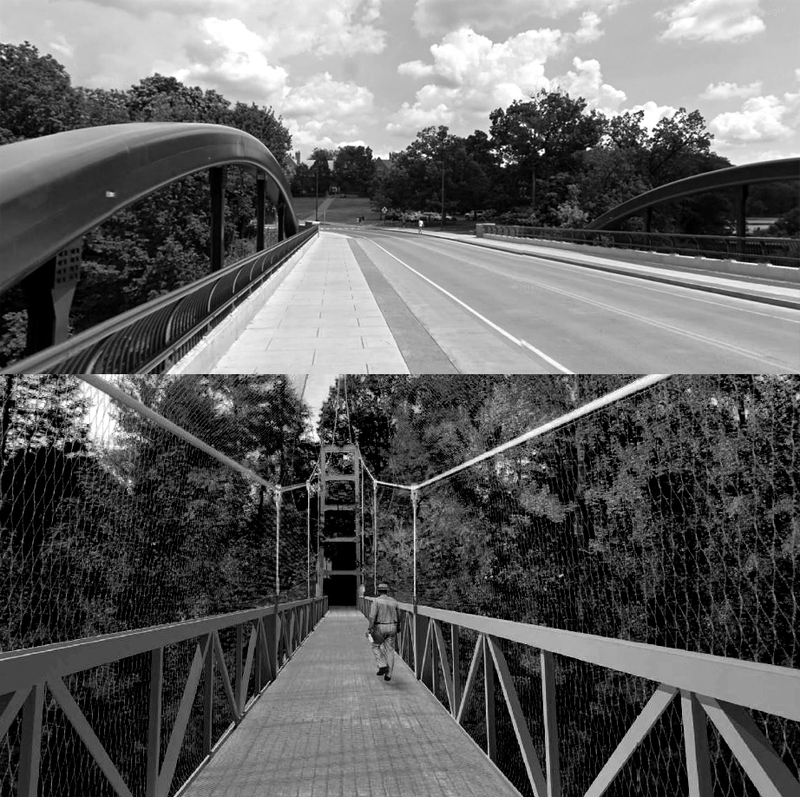 As professor Vince Mulcahy once explained, Thurston Bridge connects academic Central Campus with the leisurely “freshman” world of North Campus, so the commute would represent a “change in attitude”. I think back to all those cold 3am walks from Rand to Risley, Milstein to Clara-Dixon, and Milstein to Ujammaa—and the only “change in attitude” I can think of is from waking to sleeping. At least in Rome, when the security guard kicks me and my classmates out of studio at 1am, we still have a view of St. Peter’s on the walk back. View from Garibaldi, Evening, Photo by Author. Better make the most of it, and keep watching the seagulls.